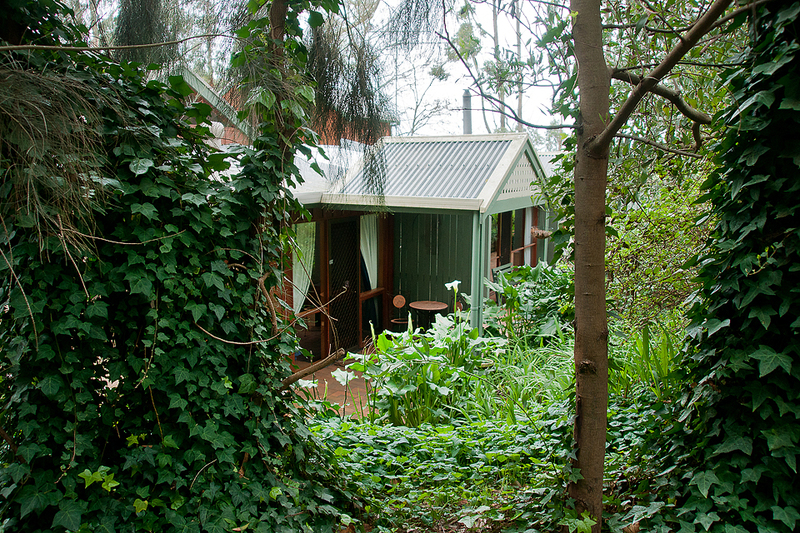 The smallest compact Studio Chalet outlook is onto the beautiful lawns & surrounding gardens. It has a queen size bed, which is combined with the living area. 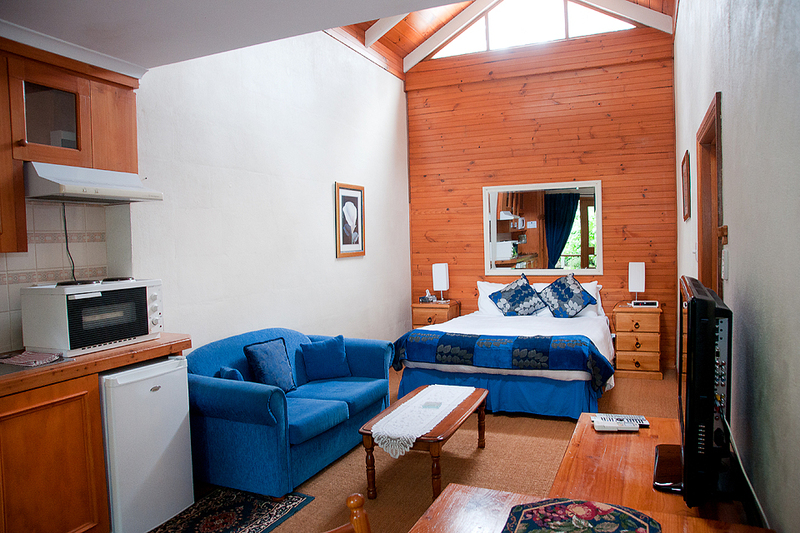 It is lovely and cosy in winter & a ceiling fan cools the Chalet for summer. Star gazing windows surprise with a cathedral ceiling in this contemporary executive chalet. Suitable for executives or a couple. 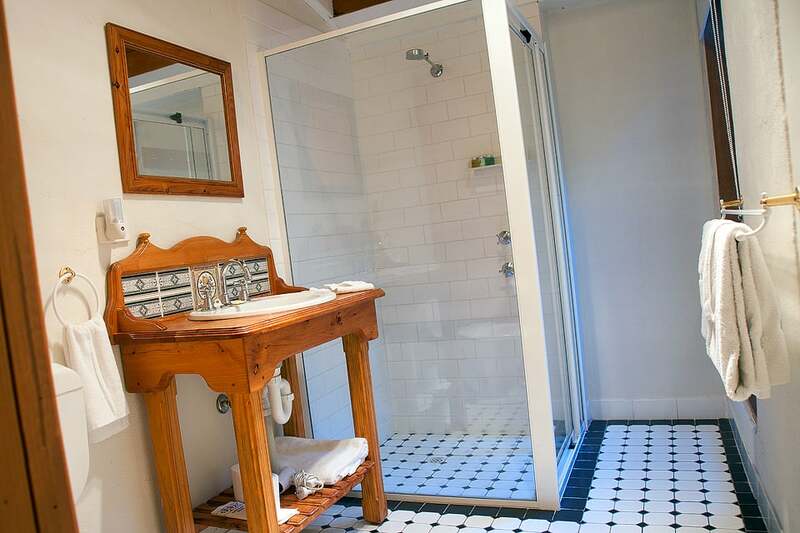 Separate ensuite bathroom with shower, toilet, etc. Rate is for 2 persons and continental breakfast provisions extra $7.50 pp (cereal, bread, milk, juice, jams, vegemite, etc.). Provisions for full cooked breakfast $12.50pp.